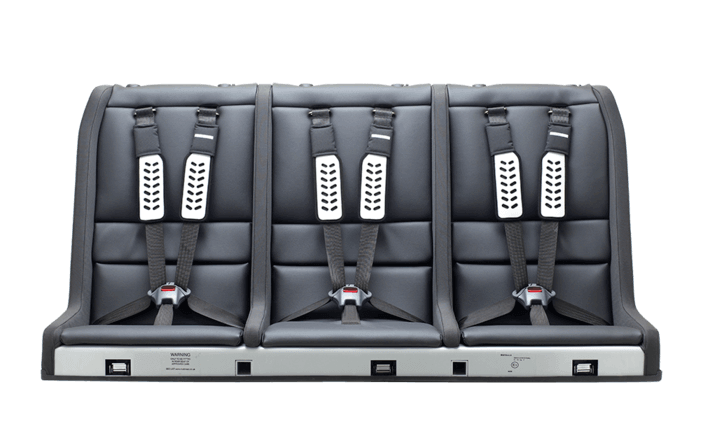 Multimac is the only multiple child car seat in the world. 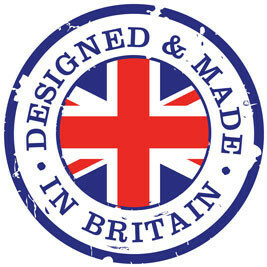 Tested in Sweden and manufactured in Britain, and currently selling directly via our website to families all round the world. 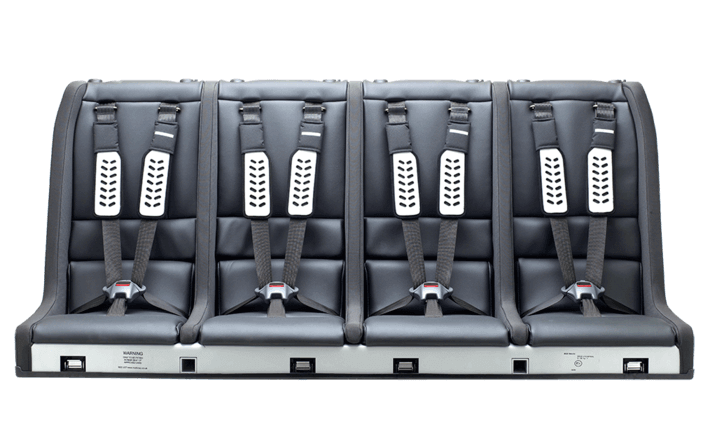 The Multimac is a complete structure with 3 or 4 berths, depending which model seat you choose. We make 3 different sized 3 seaters and 3 different sized 4 seaters. 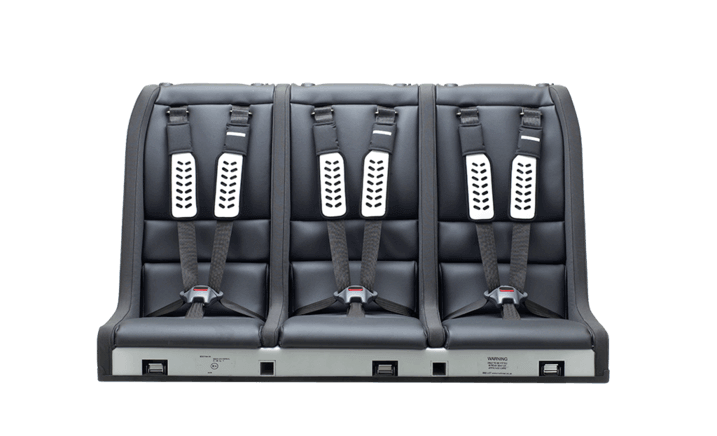 If your car has a back seat – we have a Multimac that will fit it! The Minimac baby cradle mechanically locks into any ‘club’ berth within the Multimac chassis, once the base cushion is removed. So if you had quads, you could have 4 rear facing babies next to each other! The standard finish is a black Jaguar imitation leather, this is very durable and easily cleaned. Orders go through the website/over the phone and we can either deliver the seat to your local fitting agent or if you prefer to fit yourself (providing it is a standard fitting) we can send directly to your home along with all the parts you need for the installation. Please see installation page. If you would like to have the Multimac for 2 cars, please make sure you Order a second fitting kit. We take a 50% deposit on Order and the other 50% just before we dispatch. We use World Pay, or can do bank transfer. Check with Multimac (info@multimac.com) for current lead times as models may not always be ex stock. We advise you tell your insurance company that you have a Multimac in your car. We met with ABI (Association of British Insurers) before launching the Multimac, as it increases the carrying capacity of your car and they discussed it with their members who generally agreed to cover it at no additional cost as they recognised it enhances child safety. International insurers also know about Multimac and generally cover it at no additional premium.